Description: The abal is one of the few shrubby plants that exists in the shady deserts. This plant grows to about 1.2 meters, and its branches look like wisps from a broom. The stiff, green branches produce an abundance of flowers in the early spring months (March, April). 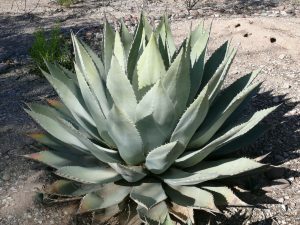 Habitat and Distribution: This plant is found in desert scrub and waste in any climatic zone. It inhabits much of the North African desert. It may also be found on the desert sands of the Middle East and as far eastward as the Rajputana desert of western India. Edible Parts: This plant’s general appearance would not indicate its usefulness to the survivor, but while this plant is flowering in the spring, its fresh flowers can be eaten. This plant is common in the areas where it is found. An analysis of the food value of this plant has shown it to be high in sugar and nitrogenous components. Description: Acacia is a spreading, usually short tree with spines and alternate compound leaves. Its individual leaflets are small. Its flowers are ball-shaped, bright yellow, and very fragrant. Its bark is a whitish-gray color. Its fruits are dark brown and podlike. Habitat and Distribution: Acacia grows in open, sunny areas. It is found throughout all tropical regions. Note: There are about 500 species of acacia. These plants are especially prevalent in Africa, southern Asia, and Australia, but many species are found in the warmer and drier parts of America. Description: These plants have large clusters of thick, fleshy leaves borne close to the ground and surrounding a central stalk. The plants flower only once, then die. They produce a massive flower stalk. 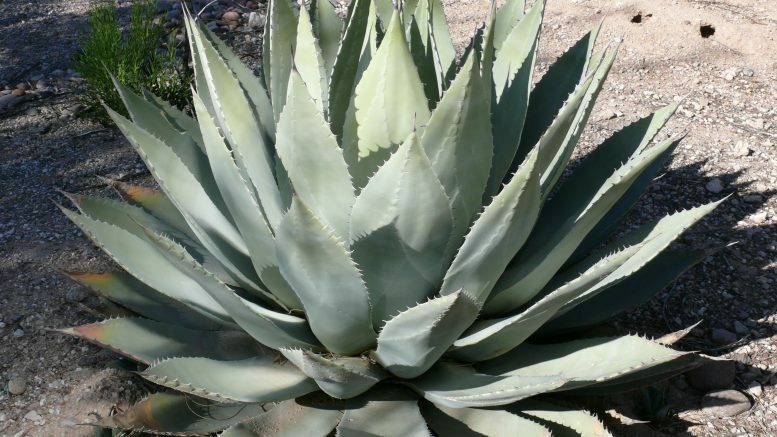 Habitat and Distribution: Agaves prefer dry, open areas. They are found throughout Central America, the Caribbean, and parts of the western deserts of the United States and Mexico. Edible Parts: Its flowers and flower buds are edible. Boil them before eating. The juice of some species causes dermatitis in some individuals. Other Uses: Cut the huge flower stalk and collect the juice for drinking. Some species have very fibrous leaves. Pound the leaves and remove the fibers for weaving and making ropes. Most species have thick, sharp needles at the tips of the leaves. Use them for sewing or making hacks. The sap of some species contains a chemical that makes the sap suitable for use as a soap. Description: The almond tree, which sometimes grows to 12.2 meters, looks like a peach tree. The fresh almond fruit resembles a gnarled, unripe peach and grows in clusters. The stone (the almond itself) is covered with a thick, dry, woolly skin. Habitat and Distribution: Almonds are found in the scrub and thorn forests of the tropics, the evergreen scrub forests of temperate areas, and in desert scrub and waste in all climatic zones. The almond tree is also found in the semidesert areas of the Old World in southern Europe, the eastern Mediterranean, Iran, the Middle East, China, Madeira, the Azores, and the Canary Islands. Edible Parts: The mature almond fruit splits open lengthwise down the side, exposing the ripe almond nut. You can easily get the dry kernel by simply cracking open the stone. Almond meats are rich in food value, like all nuts. Gather them in large quantities and shell them for further use as survival food. You could live solely on almonds for rather long periods. When you boil them, the kernel’s outer covering comes off and only the white meat remains. Description: These plants, which grow 90 centimeters to 150 centimeters tall, are abundant weeds in many parts of the world. All amaranth have alternate simple leaves. They may have some red color present on the stems. They bear minute, greenish flowers in dense clusters at the top of the plants. Their seeds may be brown or black in weedy species and light-colored in domestic species. Habitat and Distribution: Look for amaranth along roadsides, in disturbed waste areas, or as weeds in crops throughout the world. 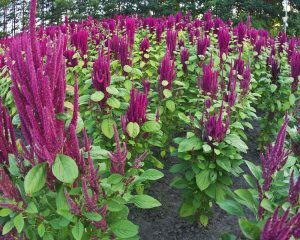 Some amaranth species have been grown as a grain crop and a garden vegetable in various parts of the world, especially in South America. Edible Parts: All parts are edible, but some may have sharp spines you should remove before eating. The young plants or the growing tips of alder plants are an excellent vegetable. Simply boil the young plants or eat them raw. Their seeds are very nutritious. Shake the tops of alder plants to get the seeds. Eat the seeds raw, boiled, ground into flour, or popped like popcorn. Description: The arctic willow is a shrub that never exceeds more than 60 centimeters in height and grows in clumps that form dense mats on the tundra. Habitat and Distribution: The arctic willow is common on tundras in North America. Europe, and Asia. You can also find it in some mountainous areas in temperate regions. Edible Parts: You can collect the succulent, tender young shoots of the arctic willow in early spring. Strip off the outer bark of the new shoots and eat the inner portion raw. You can also peel and eat raw the young underground shoots of any of the various kinds of arctic willow. Young willow leaves are one of the richest sources of vitamin C, containing 7 to 10 times more than an orange. Description: The arrowroot is an aquatic plant with arrow-shaped leaves and potatolike tubers in the mud. Habitat and Distribution: Arrowroot is found worldwide in temperate zones and the tropics. It is found in moist to wet habitats. Edible Parts: The rootstock is a rich source of high quality starch. Boil the rootstock and eat it as a vegetable. Description: The spring growth of this plant resembles a cluster of green fingers. The mature plant has fernlike, wispy foliage and red berries. Its flowers are small and greenish in color. Several species have sharp, thornlike structures. Habitat and Distribution: Asparagus is found worldwide in temperate areas. Look for it in fields, old homesites, and fencerows. Edible Parts: Eat the young stems before leaves form. Steam or boil them for 10 to 15 minutes before eating. Raw asparagus may cause nausea or diarrhea. The fleshy roots are a good source of starch. Description: This is a tree that grows from 2.4 to 4.6 meters tall, with a dense spiny growth. The fruit is 5 to 10 centimeters in diameter, gray or yellowish, and full of seeds. Habitat and Distribution: Bael fruit is found in rain forests and semievergreen seasonal forests of the tropics. It grows wild in India and Burma. Edible Parts: The fruit, which ripens in December, is at its best when just turning ripe. The juice of the ripe fruit, diluted with water and mixed with a small amount of tamarind and sugar or honey, is sour but refreshing. Like other citrus fruits, it is rich in vitamin C.
Description: Bamboos are woody grasses that grow up to 15 meters tall. The leaves are grasslike and the stems are the familiar bamboo used in furniture and fishing poles. 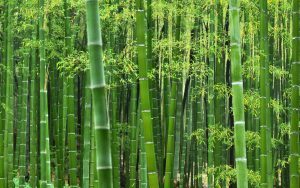 Habitat and Distribution: Look for bamboo in warm, moist regions in open or jungle country, in lowland, or on mountains. Bamboos are native to the Far East (Temperate and Tropical zones) but have bean widely planted around the world. Edible Parts: The young shoots of almost all species are edible raw or cooked. Raw shoots have a slightly bitter taste that is removed by boiling. To prepare, remove the tough protective sheath that is coated with tawny or red hairs. The seed grain of the flowering bamboo is also edible. Boil the seeds like rice or pulverize them, mix with water, and make into cakes. Other Uses: Use the mature bamboo to build structures or to make containers, ladles, spoons, and various other cooking utensils. Also use bamboo to make tools and weapons. You can make a strong bow by splitting the bamboo and putting several pieces together. Green bamboo may explode in a fire. Green bamboo has an internal membrane you must remove before using it as a food or water container. Description: These are treelike plants with several large leaves at the top. Their flowers are borne in dense hanging clusters. Habitat and Distribution: Look for bananas and plantains in open fields or margins of forests where they are grown as a crop. They grow in the humid tropics. Edible Parts: Their fruits are edible raw or cooked. They may be boiled or baked. You can boil their flowers and eat them like a vegetable. You can cook and eat the rootstocks and leaf sheaths of many species. The center or “heart” or the plant is edible year-round, cooked or raw. Other Uses: You can use the layers of the lower third of the plants to cover coals to roast food. You can also use their stumps to get water (see Chapter 6). You can use their leaves to wrap other foods for cooking or storage. 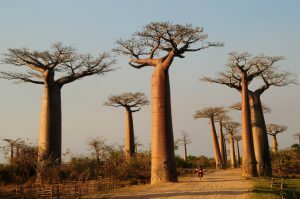 Description: The baobab tree may grow as high as 18 meters and may have a trunk 9 meters in diameter. The tree has short, stubby branches and a gray, thick bark. Its leaves are compound and their segments are arranged like the palm of a hand. Its flowers, which are white and several centimeters across, hang from the higher branches. Its fruit is shaped like a football, measures up to 45 centimeters long, and is covered with short dense hair. Habitat and Distribution: These trees grow in savannas. They are found in Africa, in parts of Australia, and on the island of Madagascar. Edible Parts: You can use the young leaves as a soup vegetable. The tender root of the young baobab tree is edible. The pulp and seeds of the fruit are also edible. Use one handful of pulp to about one cup of water for a refreshing drink. To obtain flour, roast the seeds, then grind them. Other Uses: Drinking a mixture of pulp and water will help cure diarrhea. Often the hollow trunks are good sources of fresh water. The bark can be cut into strips and pounded to obtain a strong fiber for making rope. Description: This shrub or small tree has dark green, alternate, simple leaves. Its fruits are bright red and contain six or more seeds. Habitat and Distribution: This plant is a native of the Philippines but is widely cultivated for its fruit in other areas. It can be found in clearings and at the edges of the tropical rain forests of Africa and Asia. Edible Parts: Eat the fruit raw or cooked. Description: This plant is a common evergreen shrub with reddish, scaly bark and thick, leathery leaves 4 centimeters long and 1 centimeter wide. It has white flowers and bright red fruits. Habitat and Distribution: This plant is found in arctic, subarctic, and temperate regions, most often in sandy or rocky soil. Edible Parts: Its berries are edible raw or cooked. You can make a refreshing tea from its young leaves. Description: Beech trees are large (9 to 24 meters), symmetrical forest trees that have smooth, light-gray bark and dark green foliage. The character of its bark, plus its clusters of prickly seedpods, clearly distinguish the beech tree in the field. Habitat and Distribution: This tree is found in the Temperate Zone. It grows wild in the eastern United States, Europe, Asia, and North Africa. It is found in moist areas, mainly in the forests. 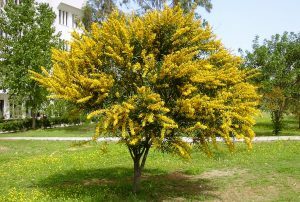 This tree is common throughout southeastern Europe and across temperate Asia. Beech relatives are also found in Chile, New Guinea, and New Zealand. Edible Parts: The mature beechnuts readily fall out of the husklike seedpods. You can eat these dark brown triangular nuts by breaking the thin shell with your fingernail and removing the white, sweet kernel inside. Beechnuts are one of the most delicious of all wild nuts. 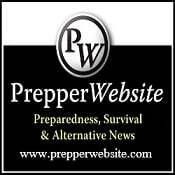 They are a most useful survival food because of the kernel’s high oil content. You can also use the beechnuts as a coffee substitute. Roast them so that the kernel becomes golden brown and quite hard. Then pulverize the kernel and, after boiling or steeping in hot water, you have a passable coffee substitute. 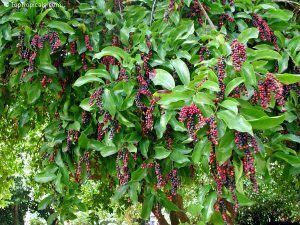 Description: Bignay is a shrub or small tree, 3 to 12 meters tall, with shiny, pointed leaves about 15 centimeters long. Its flowers are small, clustered, and green. It has fleshy, dark red or black fruit and a single seed. The fruit is about 1 centimeter in diameter. Habitat and Distribution: This plant is found in rain forests and semievergreen seasonal forests in the tropics. It is found in open places and in secondary forests. It grows wild from the Himalayas to Ceylon and eastward through Indonesia to northern Australia. However, it may be found anywhere in the tropics in cultivated forms. Edible Parts: The fruit is edible raw. Do not eat any other parts of the tree. In Africa, the roots are toxic. Other parts of the plant may be poisonous. Eaten in large quantities, the fruit may have a laxative effect. Be the first to comment on "Medicinal and Edible Plants – Part 1"